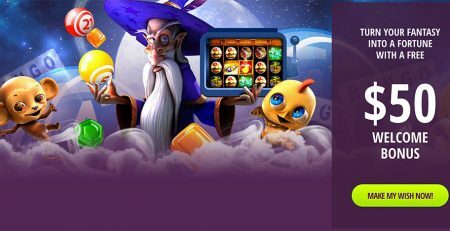 This weekend see the launch of our exciting new Fantasy Bingo Tourney. 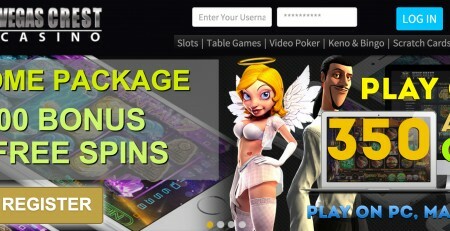 Players are invited to join us as we jump through the looking glass into an evening filled with fantasy and adventure in this amazing new Saturday night Bingo tourney. There’s over $15,000 in Guaranteed prizes to be won as players encounter Unicorns, Dragons and a whole world of fantasy characters. 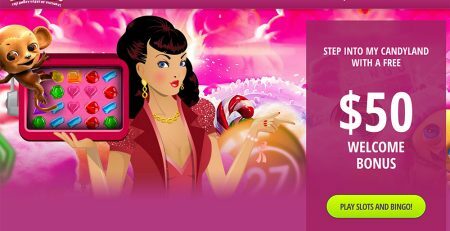 With the most amazing patterns, let your players take a magical journey to a fantasy land where fabulous cash prizes are waiting to be won. This Fantasy Bingo Tourney is the one that everyone has been waiting for. 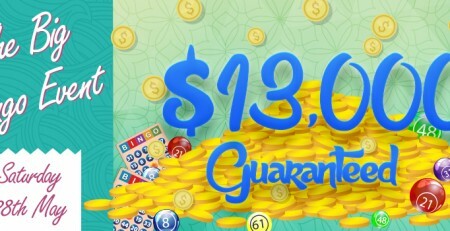 The Fantasy Bingo Tourney plays in the Tourney Room from 8pm ET every Saturday night, so invite your players to join us in this world of fantasy, adventure and incredible cash prizes! 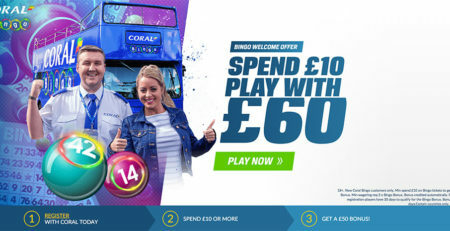 Coral Bingo: Take Advantage of the Incredible Welcome Bonus of £50!